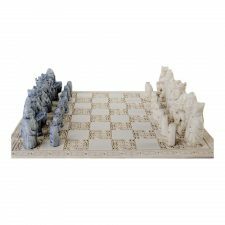 The Isle of Lewis Chess Set is possibly the most popular chess set in the world and was also used in the first Harry Potter movie. 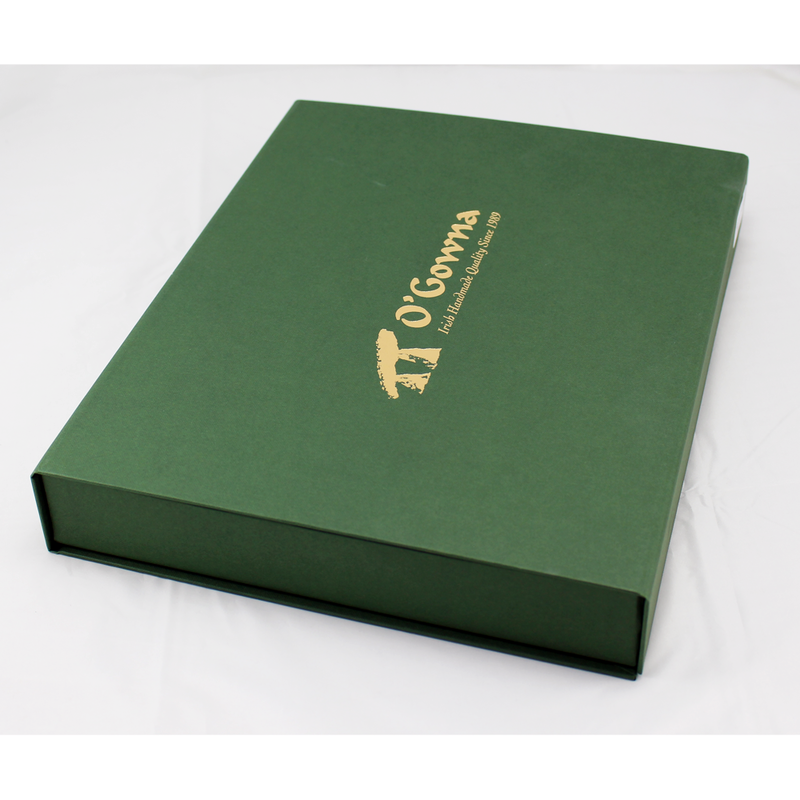 This set is handmade by O’Gowna, Naul, Co. Dublin, Ireland. 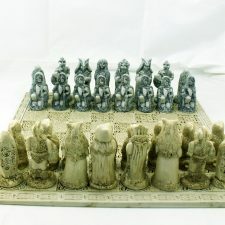 This Isle of Lewis Chess Set is a wonderful gift from Ireland for the sophisticated collector to treasure. The rook is represented by a sentry, armed with a sowrd and carrying an engraved shield. From a historical point of view, The Lewis pieces should be considered along with the more ornate pieces in the Leipzig Museum and in the Museum of Cluny, Paris, as well as the British Museum in London. 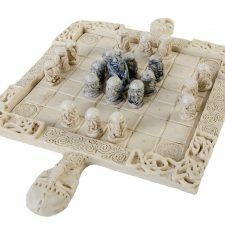 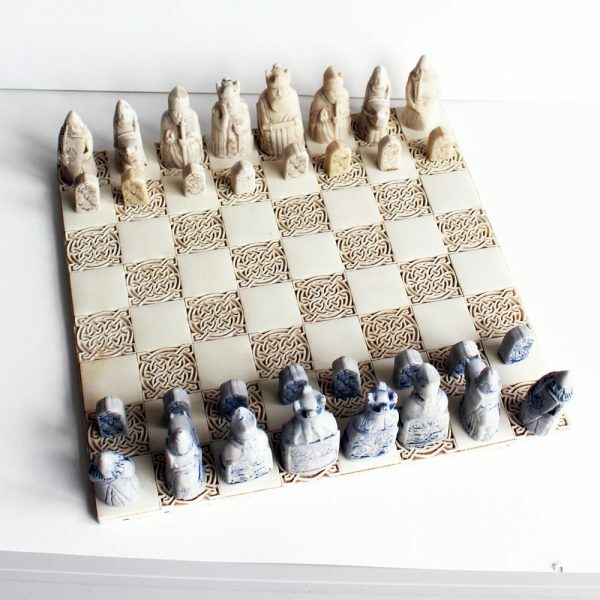 This Isle of Lewis Chess Set is made from cold cast porcelain, i.e. 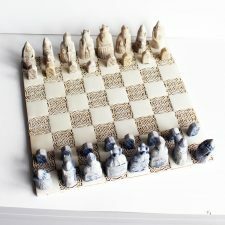 a porcelain powder that is bonded so that they are both decorative and functional, which means they don’t break easily. 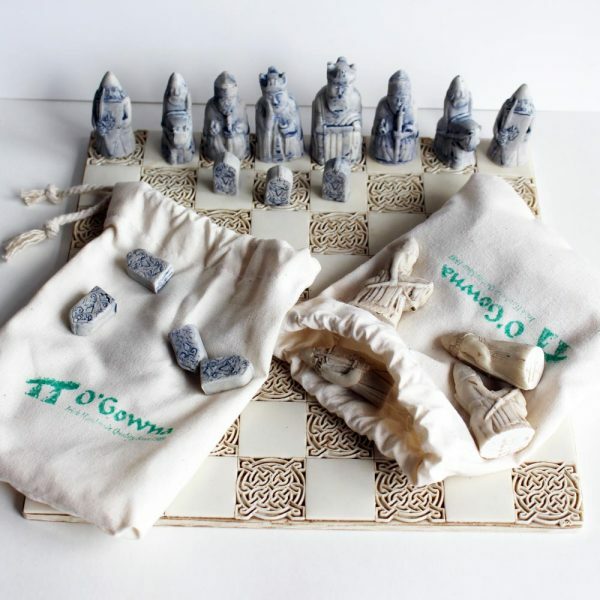 O’Gowna was taught this process over twenty years ago by Royal Doulton master craftsmen. 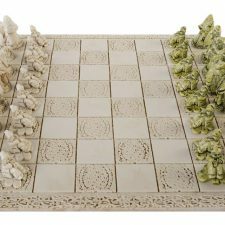 As this craft is handmade there may be visual variations, however, the same high quality of craftsmanship will apply to all sets.